Tomorrow will be a big day in the history of US law. Tomorrow is the day that the Supreme Court will begin to decide on whether or not public companies can deny health care benefits for religious reasons. Essentially, the Affordable Care Act says that employers must provide healthcare to their workers (assuming that those workers are full time and that business is large enough). It also stipulates that healthcare must provide for female birth control, including contraceptive pills. 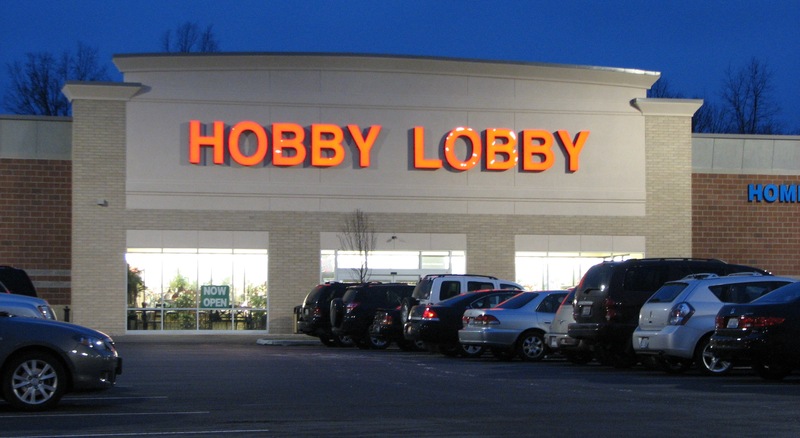 Hobby Lobby is fighting that, specifically against the second part. A large proportion of evangelicals and almost all Catholics view the pill, especially the after morning pill, as something that is against their religion. The after morning pill, many claim, is the equivalent of causing an abortion, killing a human life and thus immoral. Now, I could go into why the morning after pill does not cause abortions (instead I’ll just leave this here), but even if it did, this would still leave us at an interesting conundrum: can a business opt out of government regulations because of the religious beliefs of its owners? This is ultimately a question of the separation of church and state. The state has set certain guidelines and regulations that people must meet but at the same time allows for some flexibility there to accommodate religious needs. This is why we have religious holidays and such. But the problem is how far should this go? To illustrate these problems, I want to bring up an event that happened in 2012. In Louisiana, there was a bill passed that allowed government funds to be granted to private schools, including religious schools. Representative Valerie Hodges, a Republican, originally supported it but withdrew her support. What changed her mind? She realized that “religious schools” also included schools that were not Christian, namely Muslim schools. This was a simple example of not thinking through the consequences and understanding that part of having no state religion means that the government has to treat all religions in the same way, regardless of popularity or even logic. For example, what if the founder of Hobby Lobby was a member of the Jehovah’s Witness church, which does not believe in blood transfusions. Could he argue that the healthcare he is forced to provide should not go toward surgeries that involve a transfer of blood? Such action would leave many employees who are not Jehovah’s Witnesses in potential financial or mortal danger if they get into an accident (the ones that are Jehovah’s Witnesses would still be in the same risks, of course, but they would voluntarily be there). This kind of fight against Obamacare is popular right now among conservatives because it is advancing a Christian cause, but what if it was not? What happens when these proposals to allow for religious exemptions also apply to Muslims, Hindus, and other religions (imagine the outrage that would follow the government allowing a restaurant filled with bugs to keep operating because the founder believed that all life, including the bugs, was sacred). Will people still be fighting for this cause when it is helping another religion? As Rep. Valerie Hodges demonstrated, I do not think this will be what happens. If the case goes to Hobby Lobby, and this corporation is allowed to be treated as if follows a religion, then this opens up the system to abuse. I have enough faith in the American government to not believe that it will be a slippery slope to theocracy, but I cannot help but feel that this will be a step back for America. Hadn’t heard about the 2012 Louisiana case. That tickles me.